If you need a radiator removed or one added to your existing system we can help. We can supply and fit all types of heating systems such as Gas and Oil. All work would be carried out by fully qualified tradesman i.e. Gas Safe Registered for Gas and OFTEC for Oil. Pressurised Systems are very popular today as it removes the need for cold water storage in your loft space if you are converting this area of your home. Combination Boilers are also able to remove the need for cold water tanks but may not proved enough heated water for larger houses. 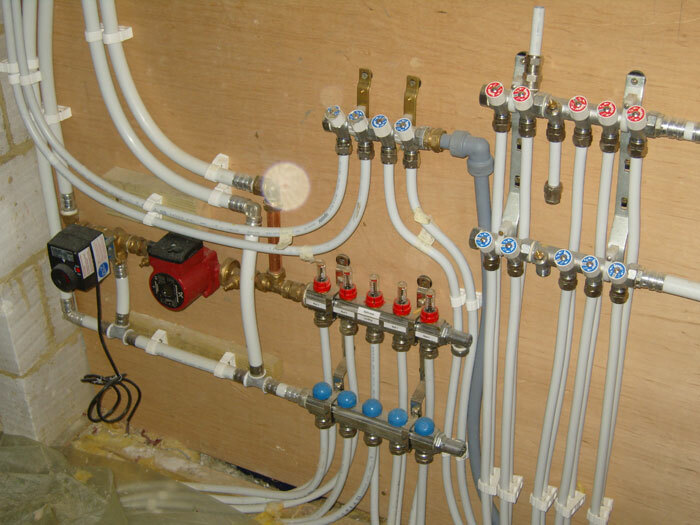 Underfloor Heating too is very popular which can be achieved with a wet system which is water pipes run under the floor and can be controlled room by room. This is a very economical type of heating and can be fitted to new and old buildings. We have recently fitted a Uponor system in a new build and have had excellent feedback regarding usability and economy.